On April 16th, 2004, the cruise ship Queen Mary 2 began its first trans-Atlantic crossing from England to New York. The sinking of the Titanic in 1912 overshadowed the trip made by Harriet Quimby on April 16th of that year. Quimby became the first woman to fly over the English Channel on that day, making the trip in just under an hour. The next-to-last manned flight to the moon, Apollo 16, was launched on this date in 1972. And April 16th is the birthday of the composer of “Moon River,” Henry Mancini (1924). The ocean liner Titanic hit an iceberg during its maiden voyage, and sank in the North Atlantic on April 15th, 1912. More than 1,500 of the 2,200 people aboard the ship died in the disaster. The wreckage remained undiscovered until 1985, when undersea explorer Robert Ballard and others came upon the remains of Titanic, more than two miles below the ocean surface. Ballard was working for the Woods Hole Oceanographic Institution based in Massachusetts. April 15th of 2013 was Patriots’ Day in Massachusetts, the day of the annual Boston Marathon. Two bombs exploded near the finish line of the Marathon, killing three persons and injuring more than 200 others. The attack led to a week-long manhunt, as police closed in on two brothers suspected of planting the bombs. One was killed by officers, while the other was discovered hiding inside a boat kept outside a house. When Patriots’ Day falls on April 15th, Massachusetts residents do not have to file their federal income tax returns on that day. This is the tax deadline day for most Americans, and has been since 1955. Before that year, taxes were due in March. This is also the birthday of another actress known for playing a character with special powers…Emma Watson (born 1990), who portrayed Hermione in the “Harry Potter” movies. Watson also starred in Disney’s live-action version of “Beauty and the Beast” and played herself in the apocalyptic comedy “This Is the End,” written and directed by actor Seth Rogen, born April 15th, 1982. Rogen is also known for the movies “Knocked Up” and “Superbad” and the TV series “Freaks and Geeks,” and provides the voice of Pumbaa the warthog in Disney’s CGI remake of “The Lion King”. In the worst submarine accident in U.S. history, the USS Thresher broke apart on April 10th, 1963, during diving tests in the Atlantic, 200 miles from Cape Cod. One hundred twenty-nine people died aboard the sub. Faulty welding was blamed for a leak which shut down the nuclear reactor aboard the Thresher. The sub also was unable to surface. The ill-fated voyage of the R.M.S. Titanic began on April 10th, 1912. The ocean liner sank five days into the trip. Titanic was launched was at Southampton, England, even though it was registered to the port of Liverpool. And the Liverpool band that recorded “Yellow Submarine” officially broke up on April 10th, 1970. That was the day Paul McCartney released his first solo album, and announced that he was leaving the Beatles. McCartney replaced Stu Sutcliffe as the bass player for the Beatles when Sutcliffe quit the band in 1961. Sutcliffe was 21 when he died of a brain hemorrhage on this day in 1962. There was celebration in England on this date in 1981, as 32-year-old Prince Charles announced his engagement to 19-year-old Lady Diana Spencer. The royal wedding happened that July, making Diana the Princess of Wales. The duties of many festival princesses include riding on floats in a parade. There were no floats in U.S. parades until February 24th, 1868, when a float was introduced at a Mardi Gras parade in New Orleans. Mardi Gras is celebrated on the day before the start of Lent. The Gregorian calendar, announced on February 24th, 1582, made changes in how the dates of Lent and Easter are determined every year. The calendar also declared that some years ending in “00” would not be leap years. French actress Emmanuelle Riva saw 22 leap years come and go before she received an Oscar nomination for the film “Amour.” Riva celebrated her 86th birthday at the Oscar ceremony on this date in 2013, but lost the Best Actress award to 22-year-old Jennifer Lawrence. The record for oldest nominee for best supporting actress is held by Gloria Stuart, nominated for supporting actress at age 87 for “Titanic,” in which she played Rose as an old woman. Billy Zane portrayed young Rose’s fiance Cal in “Titanic.” He was born on this date in 1966. Bill Clinton became the second U.S. president to be impeached, when the House approved impeachment charges against him on December 19th, 1998, halfway through his second term. Clinton was impeached for perjury and obstruction of justice, for lying about his relationship with White House intern Monica Lewinsky. The scandal threatened to sink the Clinton presidency, but Clinton was acquitted by the Senate and finished his term. A romantic epic about a famous ocean liner that sank in 1912 opened in movie theaters on this day in 1997. The James Cameron film Titanic, starring Leonardo Di Caprio and Kate Winslet, tied the record 11 Oscars won in 1959 by Ben-Hur. Titanic also set box office records which were broken a decade later by another Cameron movie, Avatar. Unlike the Titanic, three ships that left England for America on December 19th, 1606, did reach their destination. The ships brought more than 100 settlers to the Virginia colony, where they established the community of Jamestown. The city of Jamestown, New York, has a museum dedicated to hometown celebrity Lucille Ball and her first husband, Desi Arnaz, who were married for 20 years. Lucy’s second marriage, to comedian Gary Morton, lasted 28 years until her death. Morton, who produced Lucy’s TV series after “I Love Lucy,” was born on this date in 1924. It’s also the birthday of actress Elaine Joyce (1945), known for many television appearances and stage shows including the musical “Sugar.” Like Morton, Joyce also is famous as the spouse of a comedy legend, playwright Neil Simon. Before becoming a playwright, Neil Simon wrote for popular TV variety series including “Your Show of Shows” with Sid Caesar, and “The Garry Moore Show.” On this date in 1961, the Moore show featured Julie Andrews singing “My Favorite Things,” perhaps one of the earliest times that the song from “The Sound of Music” became associated with the Christmas season. Andrews did not appear in the original Broadway production of “Sound of Music,” and did not make the movie until three years after the Garry Moore Christmas show. The last known passenger pigeon in captivity, named Martha, died on September 1st, 1914 at the Cincinnati Zoo. Ironically, the Ohio legislature was asked to protect passenger pigeons in the 1850s, and a study committee concluded that the species was so plentiful, there was no need for protection. The passenger pigeon disappeared two years after the “unsinkable” ocean liner Titanic disappeared in the waters of the Atlantic. But Titanic did not remain lost forever. On September 1st, 1985, a team led by undersea explorer Robert Ballard found the wreckage of Titanic on the ocean floor, about 400 miles from Newfoundland. The James Cameron film “Titanic” featured Kathy Bates as “the unsinkable” Molly Brown. Bates won the Best Actress Oscar for “Misery” in 1990, the same year that Jeremy Irons was named Best Actor for “Reversal of Fortune,” playing real-life attempted-murder suspect Claus von Bulow. 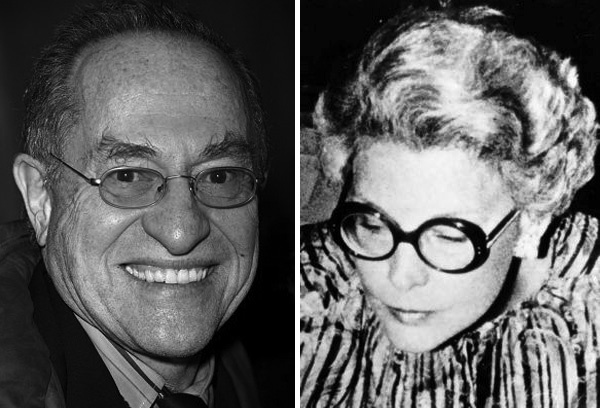 September 1st is the birthday of both von Bulow’s wife, Martha “Sunny” von Bulow (1931 or 1932), and his defense attorney Alan Dershowitz (1938). This is the day in 1977 that Elvis Presley, “King of Rock and Roll,” died at the Graceland Mansion in Memphis. Elvis was just 42. And many men dreamed of becoming rich as kings when they headed to the frontier of Canada and Alaska in search of gold. The Klondike gold rush began on this date in 1896, when three men discovered the precious metal in the Klondike River.